Many of our treks are situated in exotic and secluded locations across the world, however this doesn’t mean the treks are easy! The participants registered for the Trek for Kids challenges have not just signed up to have an amazing holiday but are supporting and changing the lives of children suffering from abuse and neglect and helping them to overcome their experiences through integrated therapy. The treks are not just a mental and physical challenge for our trekkers, but the lead-up to the event can be just as intense. For some of our trekkers, training, fundraising and the overall excitement can often become overwhelming. However, raising money and training for a trek becomes a whole lot easier when being prepared, setting small milestones to achieve and by having realistic expectations about what you can achieve and how you are going to achieve it. Husband and wife duo, Sue and Michael, signed up to the trek with a strong purpose – to make a difference. Here are a few things you may not know about Sue, along with some great ideas as to how they have achieved what they once thought was impossible. One thing on my bucket list is: Well it was to Trek Kokoda, but now I’m about to tick that off! But I’m really looking forward to: Getting outdoors. Michael and I are both nervous and excited to get out on the trial in PNG, and to enrich ourselves in the history and personal challenges that Kokoda will be sure to deliver us, both in very different ways I’m sure. 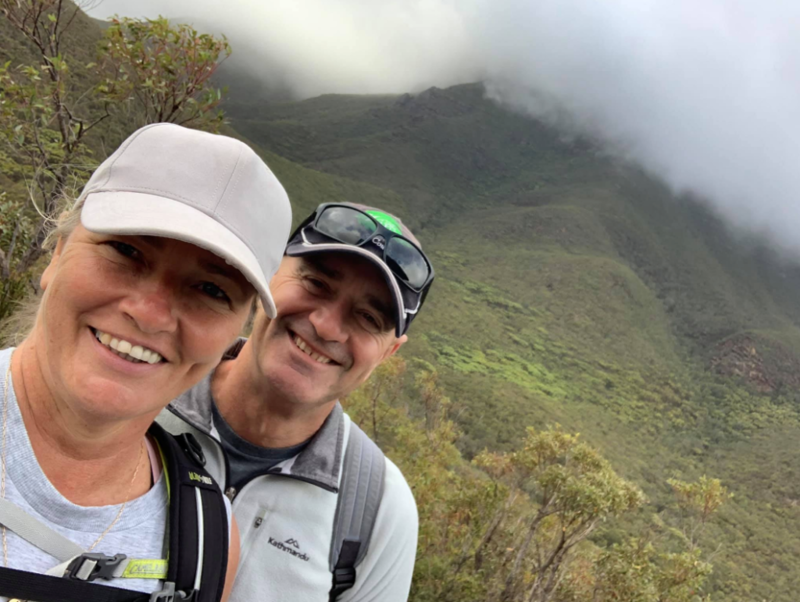 The reason I wanted to complete the Kokoda Trek for Kids is: Not only to raise money and awareness for the charity, but for the physical and mental challenge. I’m passionate about supporting Act for Kids because: Children of Australia need to feel safe and loved. I’m inspired by the work of Act for Kids and wanted to support them by raising money and awareness. I feel all children that WE as parents bring into this world, deserve to be healthy, happy and safe. Fundraising can often be a challenge, what ideas can you give to future trekkers wanting to have an event and or raise as much money as they can? ‘Bogan Bingo’ was a good one for us, but any outing or dinner party can be turned into a fundraising activity. High teas and dinner parties are always great. Advertise it well!! 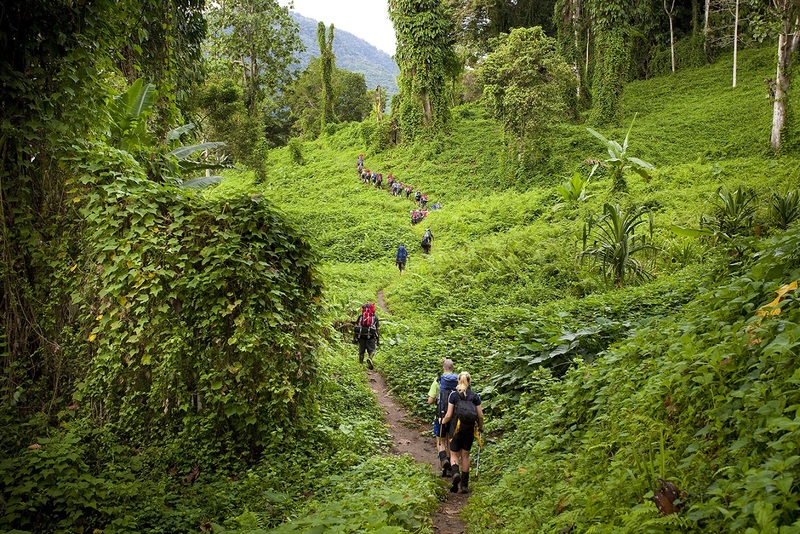 The Kokoda Trail is an incredibly challenging Trek. What exercise/fitness regime have you been following? 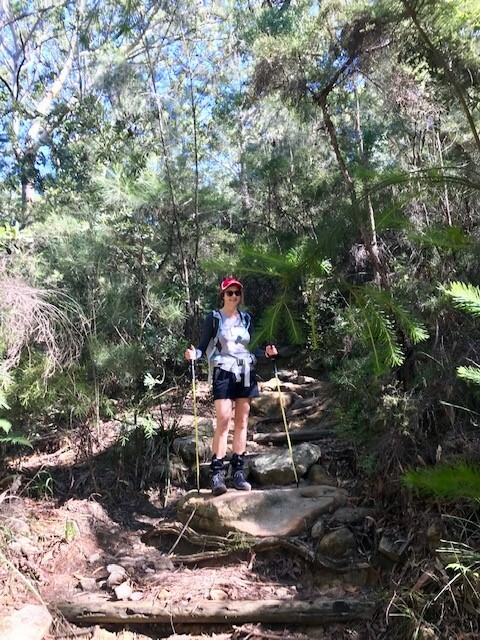 I’ve followed a little of our Trek Leader Glenn Azar’s ‘Adventure Fitness Guide’ and covered plenty of km’s/hill work, as well as gym workouts and stairs. I feel prepared and ready. What advice do you have for future trekkers that sign up for a Trek for Kids adventure? Take advantage of all the podcasts and information made available for the trek. And for the fundraising side of things, don’t be afraid to reach out for help and get creative with fundraising. Karen breaking in her boots for the challenge! Craziest thing I’ve ever done: Sign up for the Act for Kids Kokoda Trek! A personal mental and physical challenge before I’m too old! I’m passionate about supporting Act for Kids because: Act for Kids is an Australian charity supporting Australian children in need of integrated therapy and support. If possible, combine your fundraising efforts with a friend. My fellow trekker and I held a Trivia night and it was a huge success. Also I had a huge response from my fellow colleagues by sending out an email. Training in the gym 5 days per week doing circuit type functional training for the past 14 months. Fitting in some long bush walks with a pack when I could and wearing in my hiking boots. I’m feeling as prepared as I can possibly be! Spend the money on top quality footwear and socks. This is a must! !